Ahh…the bubble tip anemone. A long standing tenant of the aquarium trade and probably the single best anemone for hobbyists looking to create a semi-natural habitat for their clownfish. For many years, bubble tip anemones (BTA for short) have been prominent invertebrates in the aquarium trde. They’re captive propagation has been essentially mastered, with hobbyists finding that they easily split on their own or are at least hardy enough to survive a little razor-blade induced splitting. 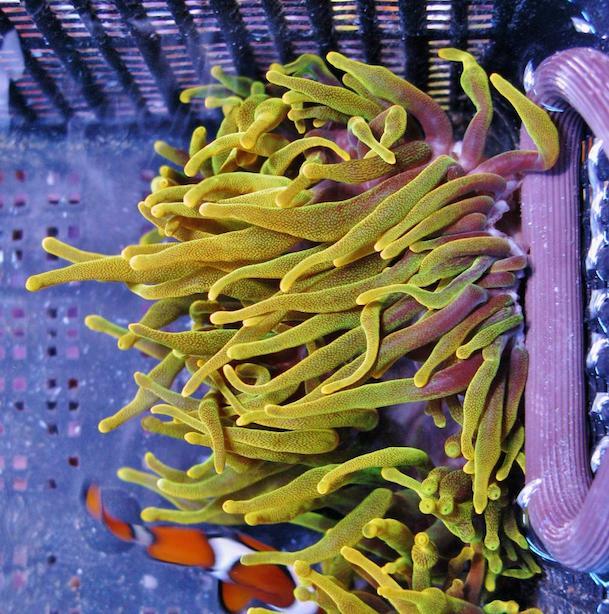 The rose bubble tip has dominated the landscape for many years, but it would appear that hobbyists are moving on to the next big thing in the BTA world. That’s where the famoun rainbow, flame tip, and sunburst BTAs step in. Hobbyists have been clamoring for something new, and over the past few years, a sweeping movement has put these rarer and far more colorful anemones into the spotlight. And despite their rather exhorbitant price tags (some fetching $300-500 per individual), aquarists are still gobbling them up. The latest amazing BTA that we have come across is the Yellow Sunburst, which we found on the Reef2Reef forum page of coral propagator, Gonzo Corals. 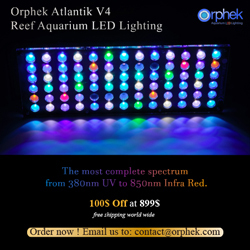 Unlike the traditional BTAs which are usually green or red, this one has a bright yellow hue…and we mean really bright. And this isn’t just some variant of the red anemones that can lose their characteristic colors as they shift back to the regular old red, but it is a different color altogether. 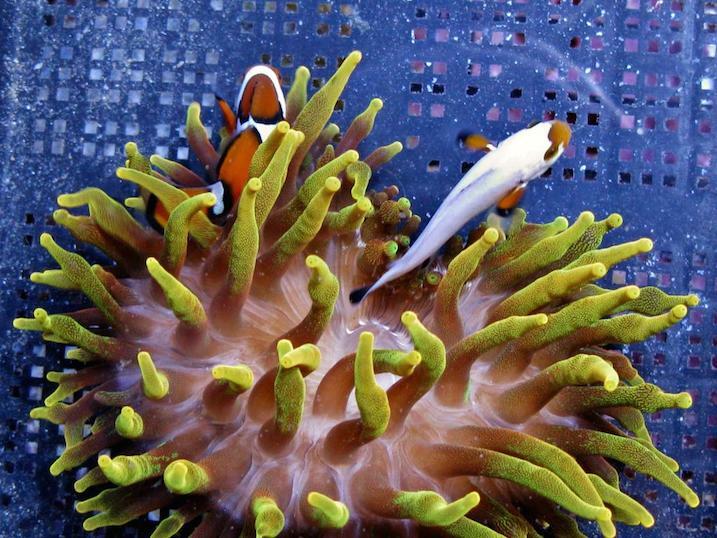 It truly is an amazing anemone, even if you don’t fancy clownfish in your reef. It was priced at $449 shipped, but has already sold.